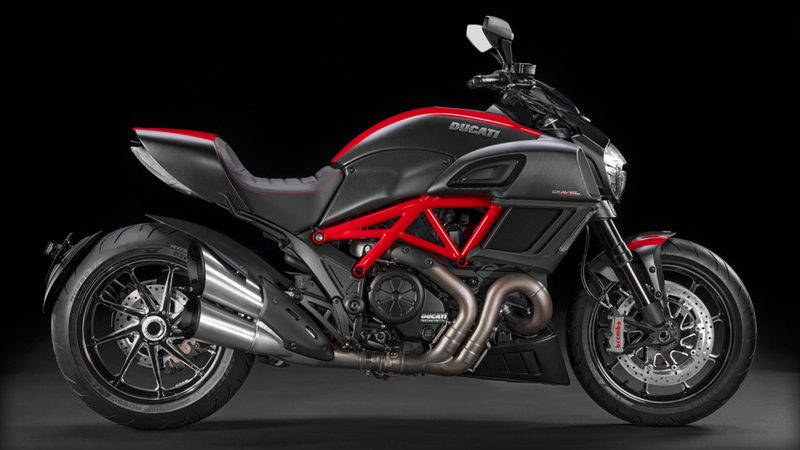 The 2014 Ducati has been launched at Volkswagen event at Geneve, Switzerland during the “Geneve Motor Show“. The Diavel (and its super-weightless version “Diavel Carbon”) will be the only powerful 2-wheels displayed at the prestigious European Salon, thanks to the recent purchase of the Italian company from the German luxury car group Audi-Volkswagen. A part from tons of Italian style, the 2014 Diavel range features the new 162 hp Testastretta 11° Dual Spark (DS) engine and – surprise surprise – full LED technology for the most stylish lighting you ever experienced. Yes you deserve your LED s when you pay $ 17,995 don’t you? You can order your next toy here.